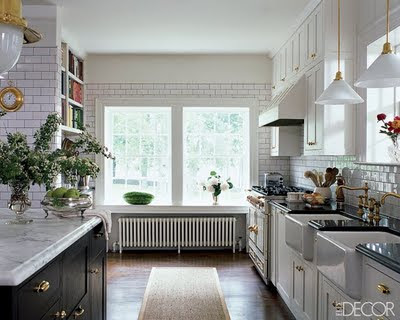 I am headed to Amy Z's house to brainstorm her kitchen remodel.. So excited for it.. I came across this photo when searching online last night, and love the simplicity of the black and white! so fun! My mantra when decorating has always been KISS.... keeping that in mind as I head over to the 2829!